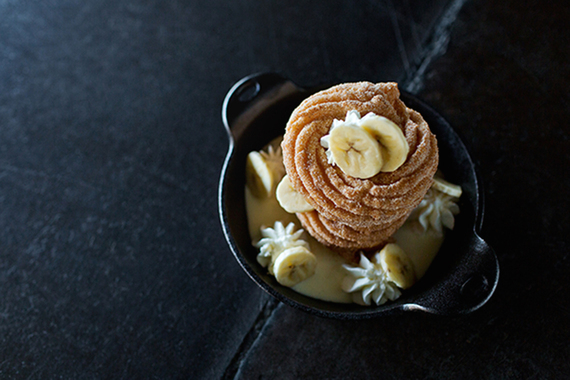 What better way to celebrate Valentine's Day than by sharing a dessert with your honey? Restaurants these days are upping their game when it comes to the grand finales of their awesome meals. What better way to celebrate Valentine's Day than by sharing a dessert with your honey? Restaurants these days are upping their game when it comes to the grand finales of their awesome meals. From cakes to custards and ice creams (or heck, even donuts!) -- get ready to fall head-over-heels for these drool-worthy creations. 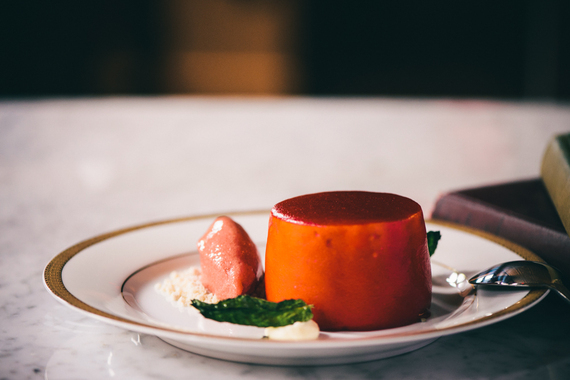 A luscious cream cheese mousse served alongside a pretty scoop of strawberry mint sorbet. An impressive, crisp-delicious tower is cooked to order and finished with whipped cream and fresh fruit. 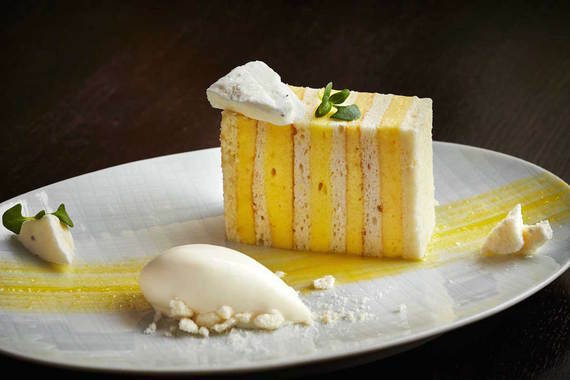 Beautifully layered and bright as day, with touches of thyme meringue, labneh (Greek yogurt) and ice cream. 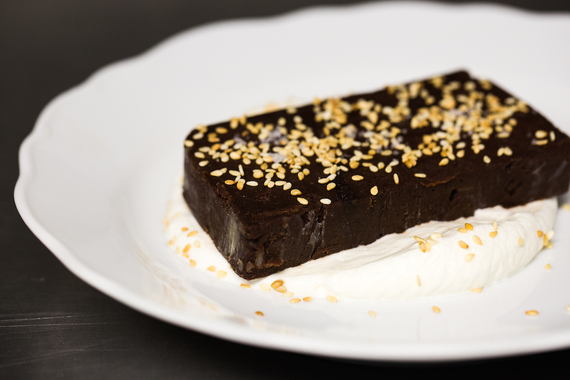 Intensely dark, topped with sesame seeds and tucked snugly into a bed of whiskey whipped cream. Fried banana-caramel cheesecake "burritos" served up with dark chocolate ice cream, gooey butterscotch sauce and crunchy pecan brittle. 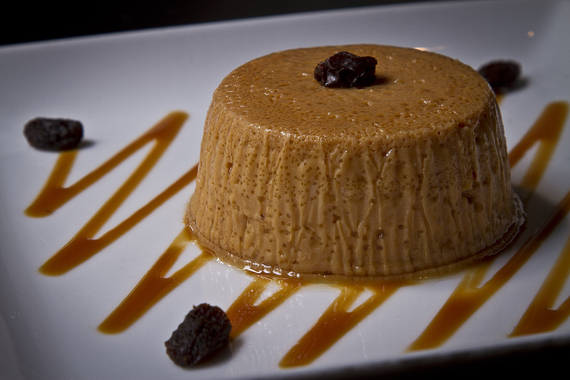 A creamy, delicate custard made with goat's milk caramel (called "cajeta") that's melt-in-your-mouth delightful. 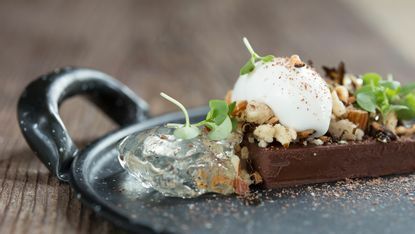 Ultra-silky chocolate ganache with almond streusel, puffed wild rice, mezcal gelee, creme fraiche ice cream and dehydrated milk.